This is how I got my website designed and created with Masterpiece Design…I love it, what do you think? This entry was posted in Books, My Books and tagged Beneath the Rainbow, blog, design, Masterpiece Design, website, Wordpress on 29th January 2014 by Lisa Shambrook. It was the quickest and easiest way to follow other blogs, one click and you’re there, a new page to read, a new writer to get to know and maybe even a new friend to appreciate! Yes, I know followers can be fickle, some click once and are gone never to be seen again, some use other media: Facebook or Twitter for example to connect to your posts, some subscribe to emails for your latest words of wisdom, and some are faithful followers who read everything you write! I know we can copy and paste URLs in our dashboard to follow and keep track, I do that with my favourite bloggers, and some we just click ‘follow’, show our appreciation and dip into once in a while. We can go to our Blog List and see all the available posts from everyone we’ve followed, and have a major catch up session, or we can have a visible Blog List on our blog page for all to see, to use as a shortcut and to advertise our favourites. 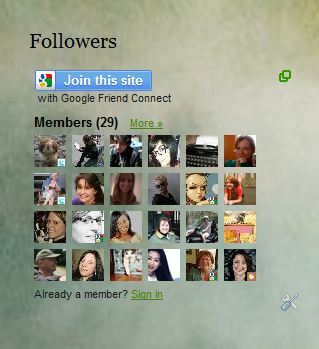 There are so many ways to keep tabs on our blogging friends! I don’t know about you, but even if people only visit my site once and never show up again, I still like to see their faces and know that they’ve appreciated my blog (at least at some point in their reading!). It’s even nicer when they show up regularly and actually leave comments ( nice ones, lol). Isn’t it lovely to put a face to a person? I want to be able to follow and put my face on their blog, so to speak. When I copy and paste a URL and even place their blog on my Blog List it seems that our pictures are not automatically brought to the party, and I’m still using ‘Google Friend Connect’ on blogs to link and become a visible follower. I’m wondering if this is a back door way for Google to big up Google+ and perhaps in the future we will have to sign up to follow through Google+? I joined Google+, but have no desire to use it, Facebook works for me, and why change or fix something that isn’t broken? 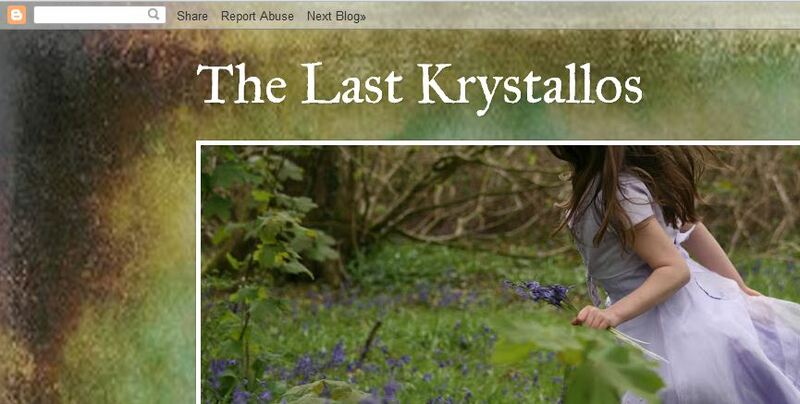 So, while I still can I will join your blog and follow with ‘Google Friend Connect’ and show you that I’ve enjoyed your writing…and I want to come back…but in the future, lets hope we can still be as open and able to expand our community as we wish! I know some other blogging sites connect friends and followers in different ways and we have followers who can’t follow on blogspot.com easily and use other social media to connect. I realise not everyone wants to be ultra visible on social media and I respect that too, and I also understand someone techie out there might have all the answers I’ve been missing…if so let me know! Otherwise, feel free to follow, comment and show your lovely faces! This entry was posted in Miscellaneous and tagged blog, Blog List, blogspot, Follow, Followers, Google, Google Friend Connect on 12th May 2012 by Lisa Shambrook.